Home » Gold Demand Remains Strong, but What is Causing it to Shine? Demand for the yellow metal continues to remain strong. What are the reasons for the boost and will they make the metal maintain its shimmer? This week, Your News to Know rounds up the latest happenings in the world of finance and the gold market. Stories include: Strong demand from emerging markets and limited supply are keeping gold prices up, Japan’s biggest gold retailer says negative rates boost demand, and Israeli hiker finds rare gold coin. Strong demand for the yellow metal in emerging markets has combined with a limited supply to provide additional support to gold’s ongoing rally, according to a report by CNBC’s Huileng Tan. A sharp fall of local currencies against the U.S. dollar in countries like Indonesia, Malaysia and Vietnam has prompted their residents to buy gold bullion in order to protect their assets. Chinese demand – both public and state-side – continues keeping the prices of the metal up. According to Padraig Seif, chief executive of Hong-Kong based trading firm Finemetal Asia, the Chinese are pulling their money out of stocks and putting it into gold in the wake of the recent stock market crash. Likewise, the People’s Bank of China (PBOC) increased its gold holdings of 57.18 million ounces in January to 57.50 million ounces in February, helping swing market sentiment in gold’s favor despite expectations of an additional hike in U.S. interest rates. A decline in supply is also helping keep prices up: according to World Gold Council data, total gold supply declined 4% in 2015, marking the biggest fall since 2009. “Market sentiment has changed quite a bit… on the supply side, more and more bullion banks are pulling out of the bullion trade so on the supply side, you’ve got a decrease in supply; on the demand side you’ve got an increase. 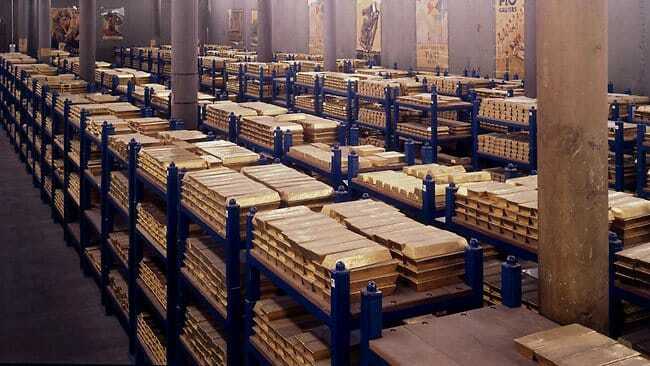 It’s quite natural then that the gold price will go up,” said Seif. While the Hong Kong trader isn’t as pessimistic about the current macroeconomic environment as some are, he still notes that there are several ongoing headwinds for gold, including a slowdown in China’s industry and the possibility of a ‘Brexit’. A “Brexit”, a combination of the words “British” and “Exit”, is a possibility that the United Kingdom will withdraw its currency from the European Union, its second largest economy. Much has been said about the Bank of Japan’s (BOJ) recent decision to introduce negative interest rates in a bid to stimulate bank lending, with many expressing concerns about the potential ramifications. Yet Bloomberg reports that gold is being seen as a clear beneficiary of this decision: Thanks to Japanese citizens looking to move their assets away from banks, the metal climbed to 5,027 yen ($44) per gram on March 11, its highest level since July 7 – this rise is especially notable since consumer demand in Japan already spiked from 17.9 tons in 2014 to 32.8 tons in 2015. Ito also noted that misconceptions among consumers are boosting gold even further: Some believe that the BOJ’s decision translates to bank fees on savings while older citizens fear the possibility of a post-World War II-esque environment, when the government imposed restrictions on cash withdrawals to stem inflation. These concerns helped spot gold rise 0.4% on Monday to reach $1,254 an ounce, amounting to a 20% overall increase since the beginning of the year. While hiking in Israel’s eastern Galilee, not far from the biblical site where Jesus is purported to have performed his miracles, Laurie Rimon found a miracle of her own: A 2,000-year-old gold coin so “rare on a global level”, according to Israel Antiquities Authority expert Dr. Danny Syon, that only one other coin of the kind exists. It resides in a British Museum. The presence of the coin in a region where Emperor Trajan-minted gold coins are an extreme rarity has fueled no small amount of speculation. Minted with the face of the “divine” Emperor Augustus as a tribute to his reign, the coin was highly valuable in times of Ancient Rome and using it would be akin to paying for bubble gum with a $100 bill – in fact, head curator of the coin department at the Israel Antiquities Authority Donald Ariel says that common merchants would not have had change for such a high-value coin. The bull market just entered its seventh year. Is history indicating that it may no longer be able to sustain itself? Read here.